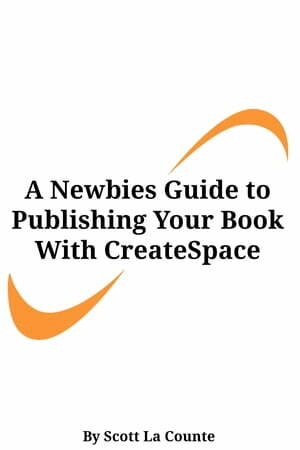 Collins Booksellers - A Newbies Guide to Publishing Your Book With CreateSpace by Scott La Counte, 1230000344029. Buy this book online. Self-publishing has changed a lot in recent years. You can literally be a millionaire publishing your book on your own. In 2011, after my agent had exhausted his efforts finding my YA series a home, I decided to self-publish it. To date it’s sold over 50,000 copies. That didn’t exactly make me a millionaire, but it did help me see the huge potential of publishing books a little untraditionally. While self-publishing platforms like Kindle make it pretty easy to publish your book as an eBook, printing a book can be a costly business. But it doesn’t have to be—it can actually be both free and easy. This book will walk you through an Amazon company called CreateSpace, which let’s authors and publishers print their books on demand for no money. I’ll show you everything you need to know about how to prepare your book for publication, how to format it correctly, how to understand sales reports, and how to actually get people to buy your book. The book covers preparing a fiction, non-fiction, and picture book manuscript. It also covers book cover design and translations.